This morning I shared my excitement of being privileged enough to be chosen to be a Display Stamper for the OnStage event held on Saturday 8th April at Luna Park, Sydney. Well, this afternoon I share some individual photos of my projects that I created using brand new product from the Annual Catalogue 2017-2018. This catalogue will be available from 1st June 2017. What do you think of these projects? Do you spy some awesome new products that will be on your June shopping list? I would love some feedback of your favourite card. If you hover over the photos, it tells you the products I have used. 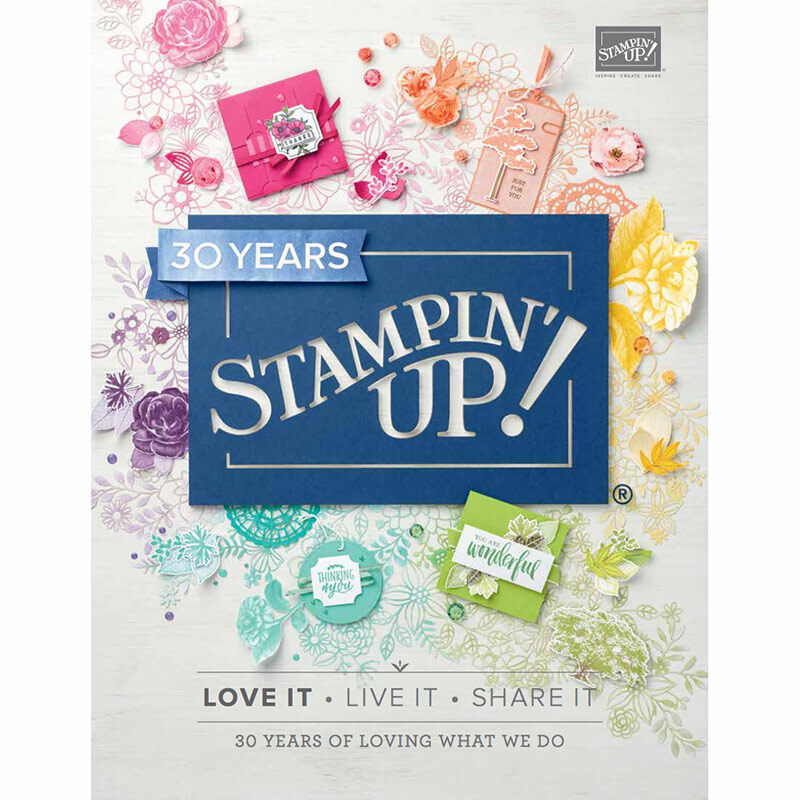 Convention, Free Product, Memory Keeping/Project Life/Scrapbooking, Retired Products Lists, Stampin' Up! Well, today is the day that the Retiring Products list is available, so be sure to add any of those to your shopping cart before they sell out. Once they are gone, they’re gone!!! Retiring Product List PDF or click the image below to be directed to the online store! Today I can also finally share some of the excitement from the Sydney OnStage event held at Luna Park last Saturday. Here is a photo of Catherine and I at the entrance to Lunda Park and the stunning Ferris Wheel with the Harbour Bridge behind! We had perfect sunny weather for the 2 days we were in Sydney. We were lucky enough to get a table right up the front and here are a few of us from our Art With Heart Team. We had a fantastic time and loved receiving new product and of course, the brand new annual catalogue!!!! Jan, Sharon, Kate and Catherine! I was lucky enough to be chosen to be a display stamper and here are my projects! A few weeks ago, I received a big brown box with 3 of the new In Colour Ink Pads, 2 stamp sets (Beautiful Bouquet & Paint Play), Lovely Laurel thinlits, ribbons, embellishments, In Colour card stock, Pretty Label Punch and the Wood Textures Designer Series Paper stack to name a few, to create these projects! Over the next few months I’ll be able to show you more about my projects and better close up pictures, but what do you think of my display? Did you attended the event in Sydney, and did you see my display? And here is the view from our hotel room which was absolutely stunning and I just had to share it with you! And the final reveal…. the cover of the new Annual Catalogue, but this is not available until next month. If you would like a copy mailed directly to you, please ask me how! Designer Series Paper, feminine, Gift Ideas, Stampin' Up! 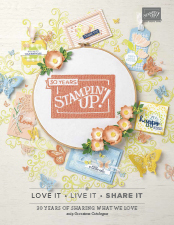 Today, I am home resting after a huge couple of days in Sydney for the Stampin’ Up! OnStage Local event which was held at Luna Park! It was so exciting getting our hands on the brand new Annual Catalogue, and it never fails to impress me, but…. I am still not allowed to share anything from that event until tomorrow. So, today I will share the pillow gift I made for my room buddy, Sharon and the gift I made for Catherine Proctor, who was so kind and caring and did so much for Sharon and I while we were in Sydney. We can’t thank Catherine enough for all her driving, picking us up from the airport on Friday and taking us to our hotel, then again on the day of the event! For Sharon, my travel and room buddy, I made the gift box and inside was the earrings and necklace set (Blooms & Bliss DSP) and a little notebook in coordinating colours. For Catherine, I made this card and coordinating notepad. I hadn’t actually met Catherine before this event, so I wasn’t sure what to make to thank her, but who doesn’t love hearts, butterflies and pearls, right?!!!!!! and because Catherine was also our taxi on Friday, I baked her some homemade choc chip cookies to enjoy with her cuppa! Don’t forget to come back tomorrow to see some of my display samples from OnStage!!! !